Emulsifies petrol, oil and grease in the bilge. 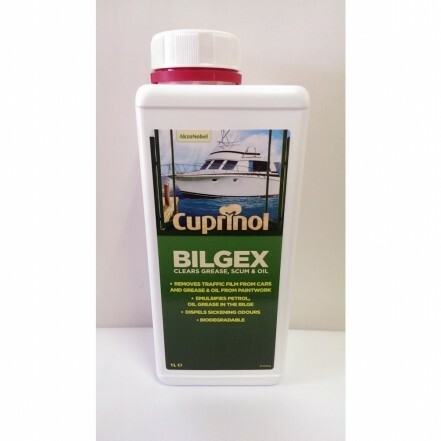 Removes grease, scum and floating oil with the normal movement of the boat. Highly concentrated - a little goes a long way. Gets rid of bad smells. Non-caustic; harmless to paintwork and fittings when diluted.